These days most rumours and leaks - be they Twitter-based 'insider claims' or tenuous retail listings - are 10 a penny, especially when it comes to Nintendo Switch, and today it's the turn of industry-based networking site LinkedIn to feed the rumour mill. According to one of its pages, a developer called Engine Room is working on a Nintendo Switch port of Little Nightmares, a puzzle-platformer with an unhealthy dose of horror that impressed on other platforms when it released last year. There's some credence to the post, too. The Dutch studio is no stranger to porting games to Nintendo Switch, having already worked on Blossom Tales: The Sleeping King and Oceanhorn: Monster Of Uncharted Seas for the platform in the past. This also isn't the first time we've heard rumblings that Tarsier Studios' unsettling hit is bound for Switch. It's also published by Bandai Namco - a firm with close business ties to Nintendo - and it's running on the Unreal Engine so it's certainly in a position to be ported from a technical standpoint. Neat, I've been wanting to play this game. I like the aesthetic, but I’m not much for horror games. This game would be perfect for the switch. I purchased the six edition on ps4 when it released last year, I have been wanting to play the DLC for this game. Release the complete edition on switch and I'll gladly double dip and play this short but sweet game AGAIN. That LinkedIn Profile update might've accidentally breached an NDA, which isn't good. Perspective? It's common practice that you don't announce you're working on unannounced projects. Profile updates are okay to state the technology you're working with or past projects, but not current projects. NDAs are just a very common thing. @DTfeartheBEARD According to a friend, the DLC is quite good. He has been trying to convince me to buy this game and I actually want to, but I prefer to wait until it has a discount since the PSN store has been having awesome offers lately. Yes! Been waiting for a port of this one. Hopefully it does get released. Hopefully true. The game is beautiful and gets great reviews. Ever since the Switch came out, my wife bought a second one for herself and been wanting two games on it since the rumors popped up. It's this and Crash, even though we own a PS4, it just doesn't entice us as much anymore. Really getting sick of those "leaks" and "rumors". @justin233 I'm in the same boat, in that I don't like (or can't stomach) most horror games, specially nowadays where all of them seem to be based on jump-scares, which I hate. However, Little Nightmares seems to be the rare, just-right amount of horror, seems like a creepier version of Limbo. I'll certainly try it if does come to Switch. @RupeeClock No, you're right from a business standpoint it's a cardinal rule. From a consumer's perspective, however, it's welcome. I sure hope this is true, I love the way this looks on Xbox but never did take the plunge and get it. Seeing as the Switch is my indie machine I can guarantee I would pick it up. The idea of playing this game in my bedroom with the lights off is tantalizing. @roy130390 oh it's definitely worth it, the complete edition with the DLC included came out in October. I considered double dipping then lol, decided to hold off in hopes of the game coming to switch instead so hopefully it does. Cool. Massive case of style over substance this one though. @Paraka missus and I are the same. do all bandai namco leaks come from linkedin?! 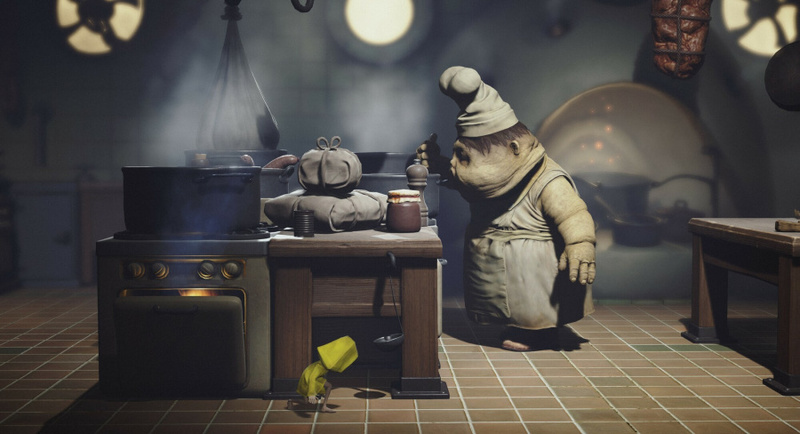 Played Little Nightmares on PC, it’s a cool and unique game. If you like mysterious, atmospheric platformers, I’d recommend it. do people tend to break NDA right out in the open like that? Perfect place for it. More people deserve to experience this game.